The Whole Megillah (TWM): What prompted you to found Gihon River Press and is there any significance to the name? Stephen Feuer (SF): I retired from the printing business in 2009. I spent the last 30 years working as a sales person for a book manufacturer. Getting closer to retirement started me thinking about what I wanted to do after I retired. Having always been a reader and having always had a great deal of respect for books, publishing seemed to be a natural progression for me. I also had some knowledge of the book industry and could call on industry experts for advice if I needed to. Publishers, by and large, are very generous when it comes to helping fellow publishers. As to what to publish, that was a conundrum. Then I went to a stage reading of a play at the Anne Frank Center in New York City and things started to fall into place. The name Gihon River Press comes from the book of Genesis. There were four rivers all coming from one source that flowed out of the Garden of Eden. The Gihon, Pishon, Tigris, and Euphrates. It is thought that the Gihon and the Pishon both disappeared after the Great Flood (Noah’s flood). It’s kind of a stretch, but to me it has significance with the “disappearance” of the six million Jews in the Holocaust. Of the two rivers, Gihon River Press seemed to be easier to say. TWM: You say your mission is to publish exclusively on Holocaust education. Can you say more about that? Is there a particular market you’re targeting? Do you publish for both children’s and adult market? SF: From a business standpoint, I was looking for something that was different from all other publishing companies. While other publishers include books on the Holocaust, it generally is not their focus and very few, if any, promote themselves as publishing books on the Holocaust for the purposes of education. As Gihon River Press moves forward and grows, I’m learning there are a number of attitudes toward Holocaust education that includes everything from “the Holocaust didn’t happen” and the “Holocaust is irrelevant,” to “we must never forget” and “it is as relevant today as it was seventy-plus years ago.” I have personally been asked, “what’s the Holocaust” by some adults. Very sad! It is, in fact, a part of history. It is currently living history and those people who can tell their stories absolutely should. Every day I see in the news stories of bullying, stereotyping, racism, hatred and this list goes on, it is very relevant since we seem to have learned very little in the past 70 years. My markets, at the moment are mainly libraries and schools in the United States and Canada. Gihon River Press does sell online and all of the titles are available as e-books. I currently have my titles with a rights company in Poland. I am” dipping my toe” into new markets, such as audio books and perhaps Spanish language books — I’ll keep you posted on that. 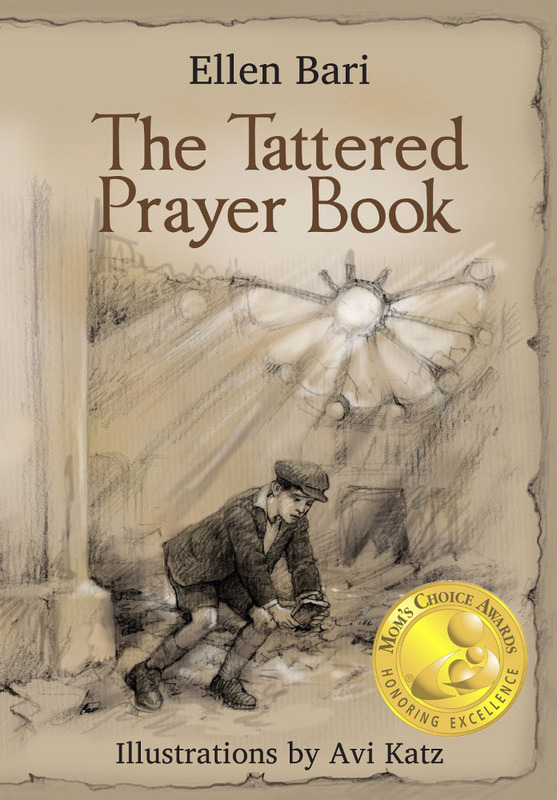 I currently have one children’s book, The Tattered Prayer Book, by Ellen Bari. 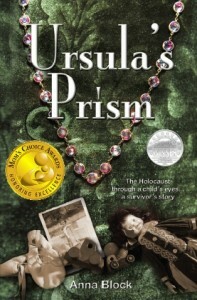 One title, Ursula’s Prism, by Anna Block is for ages 10 and up. Two memoirs, Bitter Freedom by Jafa Wallach and Amidst the Shadow of Trees by Miriam Brysk, are for high School and up and I have one play, Silence Not, A Love Story by Cynthia L. Cooper. I will be publishing at least two more titles this year. One is for teachers, called The Stones Weep, Teaching the Holocaust Through a Survivors Art, by Margaret Lincoln and Miriam Brysk. It will include lesson plans. The other title is called Women of Valor by Joanne Gilbert and it is an anthology of six or eight stories of extraordinary women who did extraordinary things during the Holocaust. Next year Gihon River Press will be co-publishing with a university press a re-issue (with new material) of a biography of Jan Karski (more on that once the contacts have been signed). I continue to receive manuscripts fairly regularly and have received two children’s books that are of interest. TWM:What is your plan for the number of titles per year— or will you consider that on the submissions you receive? SF: A little of both. I’d like to do one or two children’s titles next year. If a good manuscript that fits in with the mission statement comes along I’d consider it as well. Keep in mind I’m a small independent publisher with a limited budget. I doubt I’ll be doing as many books next year as I’m doing this year. I want to focus more on marketing and sales. TWM: How much editorial, and marketing assistance do you provide to your authors? Are there advances? Royalties? Do you print on demand? E-books? SF: As I said, I’m a small independent publisher. If a manuscript and I can reach a deal with the author, I provide the editorial. I try to work with the author to keep the book in the author’s voice. I’m too nice a guy and more often than not, give the author what he wants as long as it doesn’t compromise the book. I’ve also developed a rapport with both an editor and a designer who is sensitive to the subject matter and can work easily with me and the author. Both my editor and designer work on a project-by-project basis. Arrangement for advances and royalties are made on a title-by-title basis with each author. As I mentioned, all of my titles are available as e-books. Each title is printed in short runs to eliminate a lot of warehouse space and is continually reprinted. I do a lot of marketing for each title, including trade shows, printed material, and electronic (online) promotion. I have a web person who does a lot of behind the scenes for me such as Facebook, Twitter and the rest of the social media, and I have a person who consults with me on specialty promotion as well. I try to have my authors available for signings and speaking. They are welcome to do special promotions on their own titles as long as they let me know about it. I’m happy to provide books for sale. I try to get each author to also have my other titles on hand as well. TWM: I see from your website that you ask for full manuscript submissions. Would you consider queries? Would you want to know if photos are available? If so, is it the writer’s job to get all the right and permissions — and pay for them? SF: I often get queries before a full manuscript. Mostly in the form of emails. Sometimes I get a synopsis in the mail, but I have to read the entire manuscript before I can make a decision. With the type of books that I publish, the author often will supply photos. They are usually family photos and belong to the author. I have not run across a situation where I have to get permission for a photo. 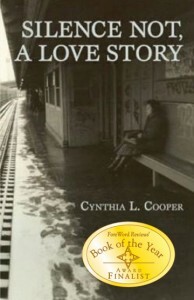 This entry was posted in Editors and tagged Amidst the Shadow of Trees, Anna Block, Bitter Freedom, Cynthia L Cooper, Ellen Bari, Gihon River Press, Holocaust education, Jafa Wallach, Miriam Brysk, Silence Not A Love Story, Stephen Feuer, The Tattered Prayer Book, Ursula's Prism. Bookmark the permalink.